Be sure to save your dollars and visit Dresden, Germany around Christmas Holidays. 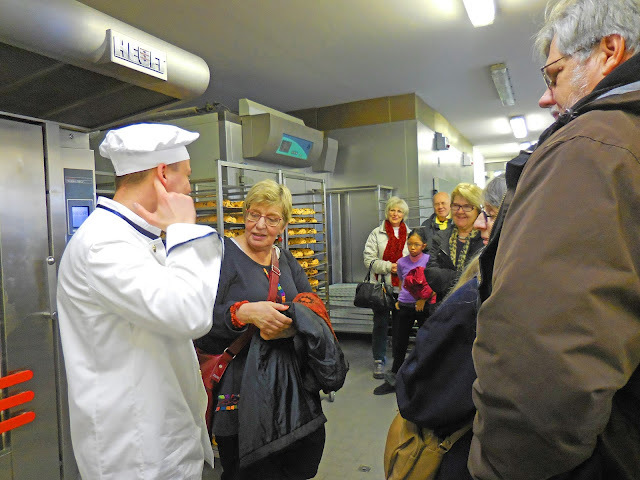 There are so many fun activities to do in this city with holiday traditions that sits next to the Elbe River. I will always remember relaxing and sipping freshly brewed hot tea with a plate of this delicious Stollen German bread (Christmas cake) in front me after our tour of the bakery. My month still waters for the tastes of this baking tradition of Dresden's Christstollen. Yum! Do you think this baker will miss one of the loaves behind him? 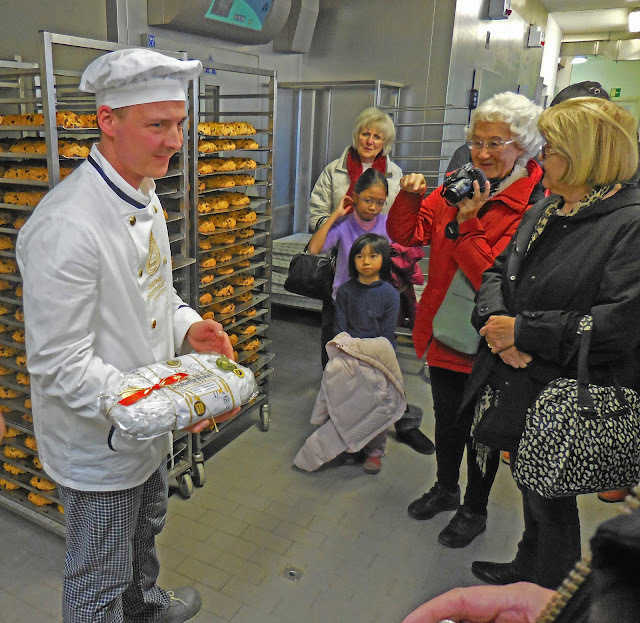 This was a fun tour going inside this bakery (Bäckerei) of which our local guide translated the demonstration. Did you like this article? Please review the items in our sidebar and share with your friends. Chat with us in the comments below! and picture usage. Thank you. 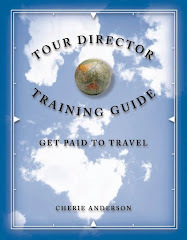 I spent my own dollars on this trip with my favorite Tour Company. 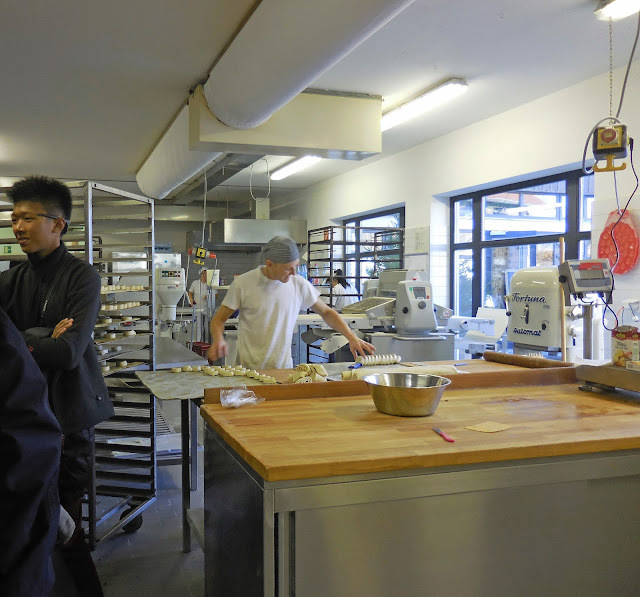 Continue reading our fun day with San Francisco Sourdough!